James Wilbur “Bill” Underwood was born in Sebastopol, Mississippi, to Marvin and Della Underwood on May 5, 1921, and grew up in Newton and Scott counties. Mr. Underwood graduated from Sebastopol Vocational High School and attended Draughn’s Business College in Memphis, Tennessee, before working in Jackson, Mississippi, for Capital National Bank (now Trustmark National Bank). He served in the U.S. Navy for four years during World War II. His Navy buddies called him “Bill” instead of Wilbur, and the nickname stuck. After leaving the Navy, he was made manager of the Capital National Bank’s Veteran Administration Branch. In 1946, he entered the real estate business, and two years later, he formed J. W. Underwood & Company with George Cain, Jr. Mr. Underwood and Mr. Cain founded Homestead Savings and Loan Association in 1949 to assist the real estate company. His company is credited with building over 7,000 homes and designing and developing over 25 different communities, one of which – Crossgates – was the first large master-planned community in Mississippi. He was a member of many business and civic organizations and was inducted into the National Association of Home Builders’ Housing Hall of Fame in 1984. In 1966, Mr. Underwood and his business partner, William King Self, of Marks, Mississippi, bought G. R. Worthington’s 1,000-acre dairy farm, west of Brandon along Highway 80 in Rankin County, for a $225,000 cash down payment and 20 annual installments with no interest. When Mr. Underwood bought the property, he did not have a specific purpose for it. He installed a white fence along the Highway 80 frontage for approximately 1 ½ miles, intending to put horses in a pasture and sell it to someone from the northern U.S. as a “horse spread.” After travelling around the country and seeing planned communities in places near Los Angeles, Washington, D. C., and Baltimore, Mr. Underwood decided to develop Crossgates as a pre-planned residential community with a 40-acre lake in 1968. The initial development included the lake, entrances, an information/marketing building, several gazebos, and 102 lots. Through the Horseshoe Utility Company, which had been operating in Jackson, he built a sewer and water system for his development. Mr. Underwood decided that, in conjunction with his company – Underwood Homes – and 6 other builders, he would build 2 houses apiece for a total of 14 homes. When word starting circulating about the 14 families living in Crossgates, it brought attention to the site and attracted more homebuyers. Underwood continued to purchase surrounding property and Crossgates grew to 1,700 acres. Today, the Crossgates area has a mixture of different uses, from residential to commercial to medical, as shown by the banks, hospital, professional offices, restaurants, and shopping centers. The North and South range line in Rankin County, Mississippi, separating ranges 2 and 3 will be the permanent boundaries between the said Cities of Pearl and Brandon. In the future, the City of Pearl will not attempt to extend its corporate limits East of the said range line. In the future, the City of Brandon will not attempt to extend its corporate limits West of the said range line. Any future attempted expansion by either Pearl or Brandon will not be opposed by the other municipality of such expansion or annexation petition does not traverse or go across the permanent boundaries as established herein. The City of Pearl will not attempt to expand its certificated area for water or sewer East of the above described range line in Rankin County, Mississippi. The City of Brandon will withdraw all objections to the annexation suite as filed by the City of Pearl, herein and the City of Attorney of Brandon will announce in open Court that Brandon has no objections to the expansion petitioned for herein. The City of Pearl will file an appearance in the annexation suit filed by the City of Brandon in Cause No. 15,816 in Rankin County, Mississippi, and consent and agree to the expansion of the Brandon city limits westward to the above described range line. The City of Brandon will, at the hearing on its petition for expansion ask the Court to diminish the area sought to be annexed to where the same does not extend westward past the above described range line. The common line as established by the City of Pearl and the City of Brandon herein will not depend on any court decision but such common boundary is hereby adopted by and between both municipalities for all future actions or expansions by either municipality up to but not beyond such range line. The parties hereto agree to execute all documents and to do any and all things necessary to carry out the terms of this said Contract and the Mayor and City Attorney of each municipality are hereby vested with any and all authority necessary for the preparation and execution of such instruments as may be necessary in order to effectuate and carry out this agreement. 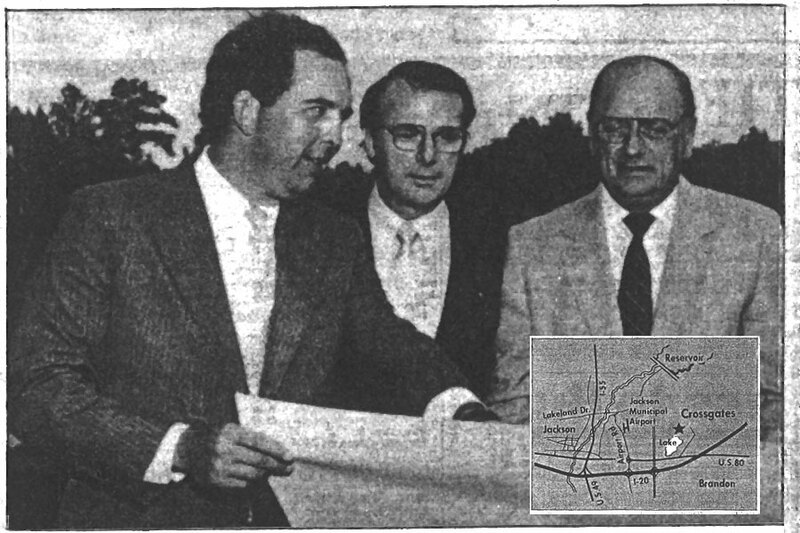 On Friday, March 24, 1978, Chancellor Billy Bridges approved the annexation of Crossgates and areas immediately surrounding the city, but the Taylorsville community was left out of the approved annexation. The annexation would take effect on midnight of April 3, 1978. By newspaper accounts, the annexation would nearly triple the city’s population from 3,500 to more than 10,000 and double its land area. The City of Brandon and the Crossgates Fire Protection District came to terms in a separate agreement, which became part of the court record. Previously, the Crossgates Fire District had filed a counter petition asking the court to recognize its existence and to order a two-mill city tax reduction to offset taxes paid to the District. In the agreement, the city recognized that the Crossgates Fire District had the exclusive right to provide fire protection in Crossgates but did not approve a two-mill tax reduction for district residents.